FL Technics (a part of Avia Solutions Group), a Lithuanian aircraft MRO services provider has focused on its development in Asia. The reason for that move is booming air transportation in the region and large number of aircraft being delivered to the local operators which in turn stimulates the demand for MRO, the company representative told Russian Aviation Insider. “Unfortunately there is not that many world-class MRO organizations in the region let alone EASA-certified companies. That’s why we have been actively expanding in the region for several years already owning a maintenance depot in Indonesia and main sales office in Thailand” — said FL Technics CEO Zilvinas Lapinskas. FL Technics opened its MRO station at the Soekarno-Hatta airport in Jakarta, the capital city of Indonesia in the late 2016. About a dozen Indonesian and Thai carriers has since become its clients including the large low-cost airline Lion Air. According to the top manager, the company has dramatically diversified its business over the last two years driving down CIS countries share in its portfolio from 80% to 30%. It was achieved largely thanks to growing the number of clients from Asian region although “more dynamic actions in the Middle East, Africa and Western Europe also pitched in”. 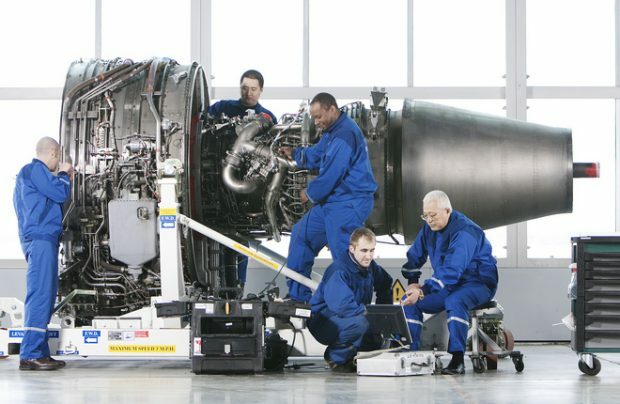 In the beginning of the year FL Technics opened its third maintenance station in Georgia which is expected to attract clients from the Middle East first. In 2017 the station intends to receive permission to perform heavy checks on SSJ 100 aircraft. As for the results of the previous year beside MRO opening in Jakarta and launch of Airbus A330 continued airworthiness program (EASA certificate) the company emphasized receiving its first clients for base maintenance from Africa and signing a large contract on spare parts delivery in Asia. Moreover, FL Technics improved its internal processes and is working to implement more efficient production practices (in accordance with lean production philosophy). Developing its own IT solutions helps FL Technics to carry out a more precise man hours recording thus timely reacting to any difficulties. For example, it helped the Lithuanian provider to enhance available man hours by 16% (without recruiting additional employees or adding infrastructure). By 2018 this index is expected to reach 500,000 hours.